We are The Gold ATM – the highest-reviewed gold buyer, diamond buyer, and watch buyer in Atlanta. If you have heard of us, chances are that you already know this. What’s more, we are convinced that you are familiar with our pawn loans and jewelry loans as well. If you aren’t, here is what you should know – we offer low-interest loans on a number of products, including gold jewelry, diamond jewelry, name brand/designer jewelry, and luxury watches (for a complete list of designer names, we invite you to visit our website). Our loan services aren’t only the best in the area, they are innovative and modern, too. We have recently begun to use Bravo Pawn System software, which allows us to utilize a mobile app called Mobile Pawn. This app allows customers to make payments on their loans without having to come to our office. That is a major convenience factor that none of our competitors in the Atlanta area can provide at the moment. Make no mistake, we are not your local pawn shop. In fact, we are much more. 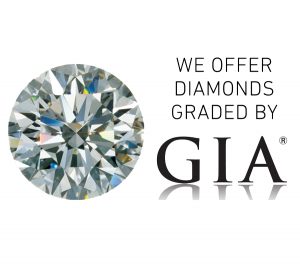 With over 290 five-star reviews on Google, we are the most trustworthy gold and diamond buyer in the area. All of our services take place in a high-rise office setting, ensuring a safe and secure environment for all out customers. Also, we are someone you can rely on; our rates are always on display in our offices and you can be sure that you won’t get a better offer anywhere in Atlanta. Plus, our interest rates are unbeatable – they go as low as 5% on any of our pawn/jewelry loans. Furthermore, we are fully transparent with all of our customers. Our experienced and professional staff will take you through our loan process step by step and show you exactly what we see when we evaluate your product. When you come to our office, you can always count on an honest evaluation and a fair offer. One more thing – our customers know that they are under no obligation to sell. Even though we are always willing to provide a free evaluation and give you an offer, that doesn’t mean that you have to sell or pawn your valuables. Our environment is entirely pressure-free. We invite you to pay us a visit at some of our four locations in Atlanta. Please make an appointment if you want to stop by our offices in Hartsfield, Roswell, or Buckhead. At our main location (400 Galleria Parkway SE, Suite 1500), we can welcome you even without an appointment. For more information about our services, feel free to browse our official website.